Do you miss how Labels used to work? Do you miss having colorful shortcuts in your Sidebar? If so, then consider using XtraFinder. Starting with OS X Mavericks (OS X 10.9) Apple changed how Labels work. In fact, they renamed the feature from Labels to Tags. Labels used to add a background color to a file or folder’s entire name. Now Tags only adds a small colored dot next to the filename. Many clients have told me that they don’t like this new style of Tags. After downloading and installing XtraFinder, go to your Applications folder and open XtraFinder. 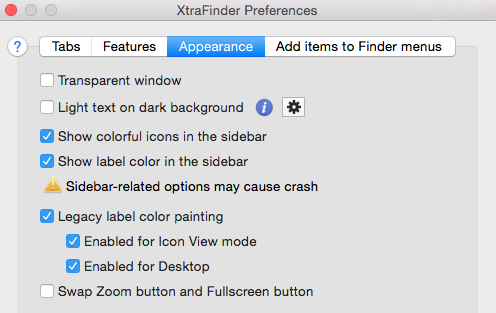 The XtraFinder Preferences window will appear. Click on the Appearance button. That’s it! You’ll now see the old style label in addition to the new style. Examples appear below. 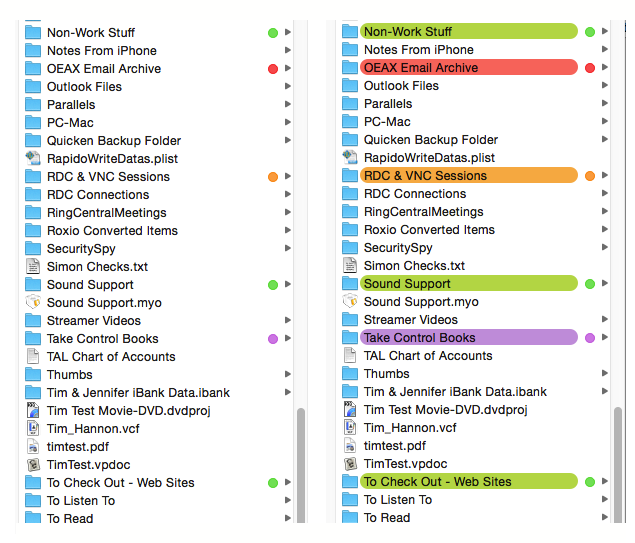 Read more about Finder, label, OS X, Xtra Finder.